Fresh on the market, the Touch Flex WiFi has been designed for managed housing and apartment buildings. 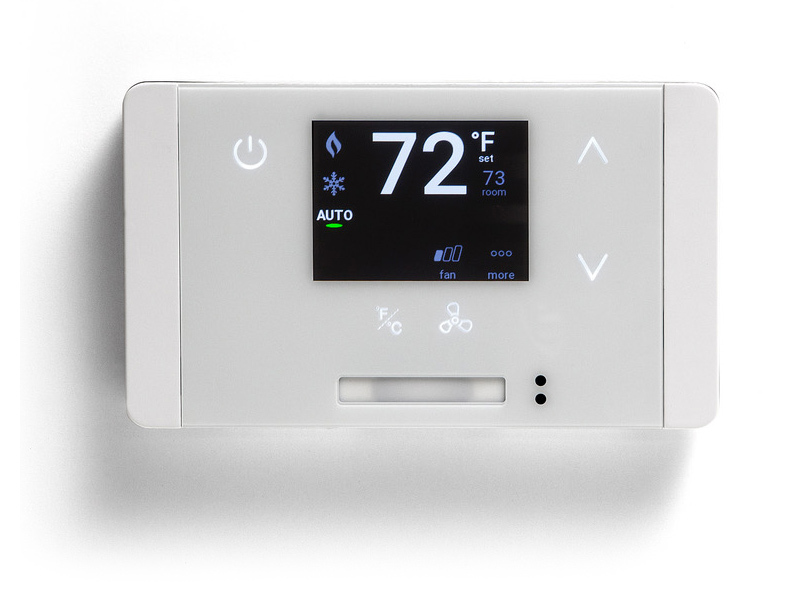 In projects that feature Touch Flex WiFi, each living space has an individually controlled, sleek, modern thermostat that resembles a smartphone, with its glass front, haptic feedback and buttonless interface. Its wireless communication method is WiFi. 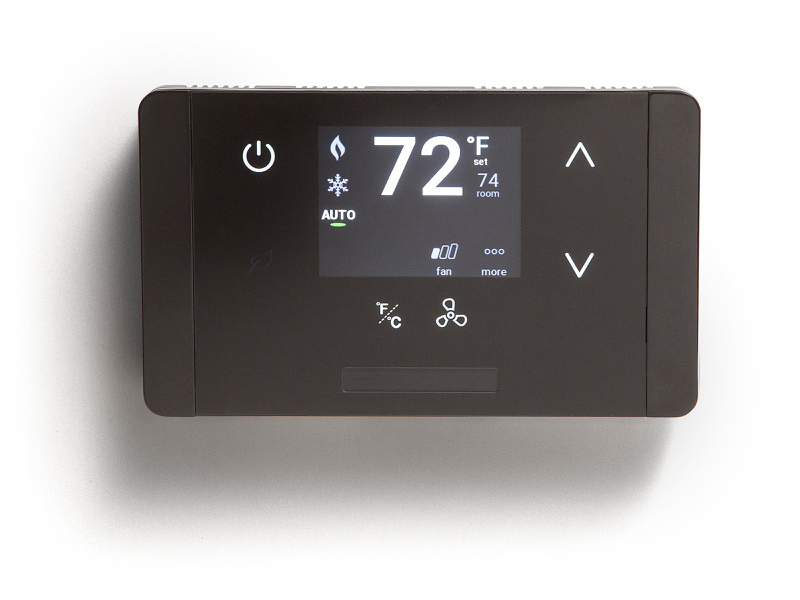 Unlike our existing EcoTouch products, the new Touch Flex WiFi is an HVAC controller and user interface all in a single device. 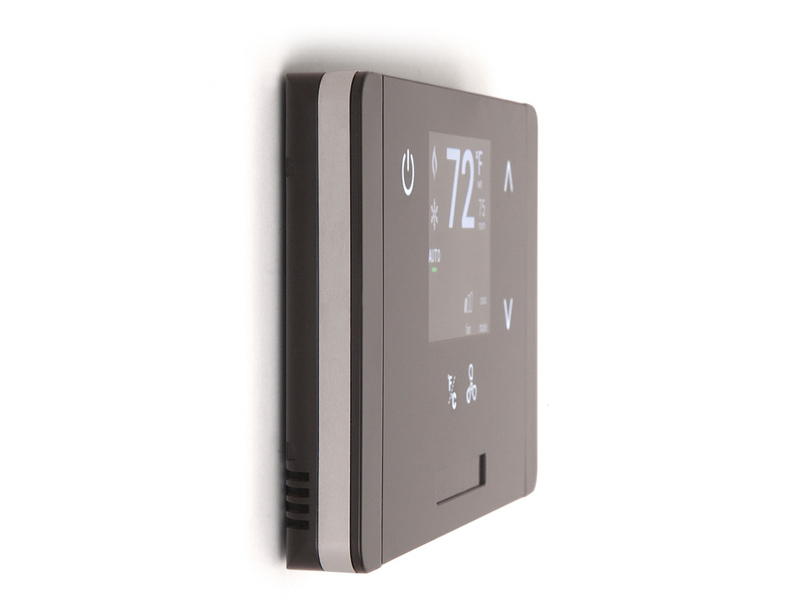 It’s hard-wired to the HVAC unit and, unlike our ZigBee products, the Touch Flex WiFi has been “set free.” It requires no additional equipment like coordinators or a server. 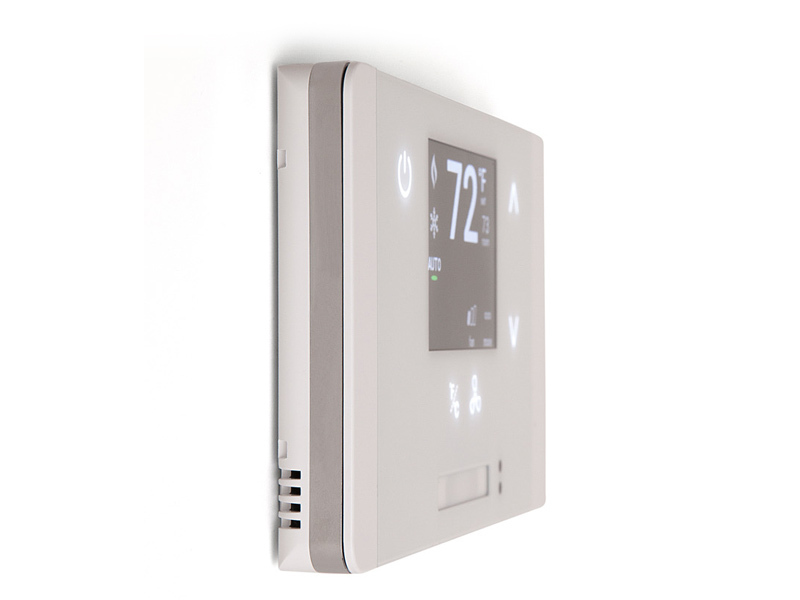 Touch Flex WiFi also has the distinction of being our first thermostat to communicate via WiFi. 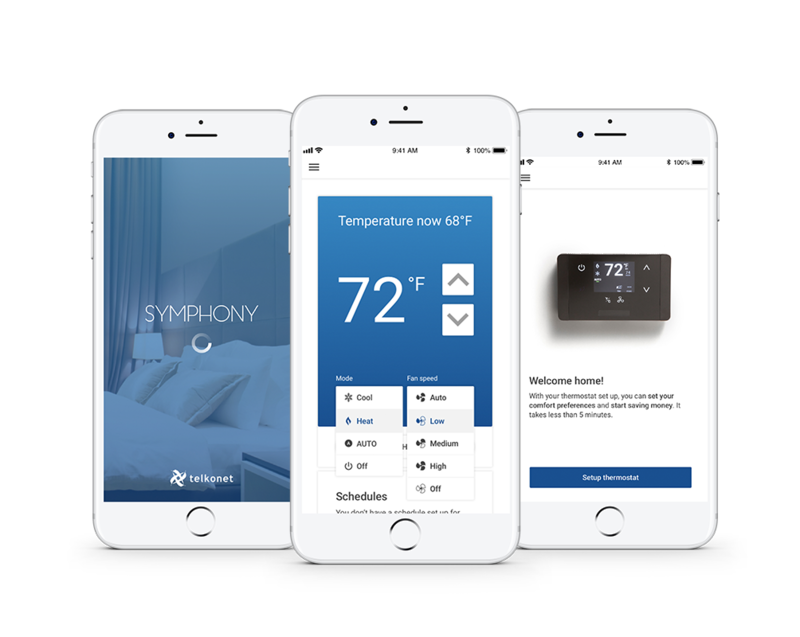 Residents can set up their thermostats with a brand new mobile app, Symphony Sonata, and control their room climates from home or away, wherever they are, using their Bluetooth-enabled phones. It’s designed for everyone in the family.